Of all the Orkoid lifeforms, one is perhaps the most simple and most versatile. Loremasters, today we delve deep into the wonderful and insane world of the Squig! 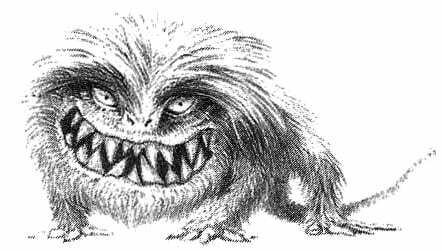 Squiggly Beasts, more commonly known as Squigs, are the simplest form of Orkoid life, ever-present amongst the tribes of the greenskins. For the most part, these creatures are lacking in intelligence, though their ferocity is impressive. There are many types of squig, each generally filling some functionary role in the Ork ecosystem, developing a strange symbiotic relationship with Orkoid race: some squigs are used for skin or food, others kept as fearsome pets, and the largest of them can even be ridden into battle. Some Ork clans specialize in breeding ever-larger and more belligerent strains. The squigs feed on the refuse of the larger Orkoids (as well as local plants, animals, and each other). In their turn they serve as the Orks‘ primary food source along with Orkoid Fungus. 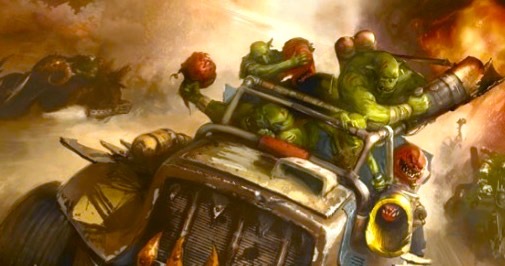 It has been theorized by the Genetors of the Adeptus Mechanicus that squigs were created by the Orks’ forebears as part of a simple, mobile ecosystem that sustains the greenskin race as it travels from world to world, contributing to the success of this race in conquering large parts of the galaxy. There are many types of squigs, but most can be generalized into a single variety, such as edible, musical, hair, parasite-hunting, etc. 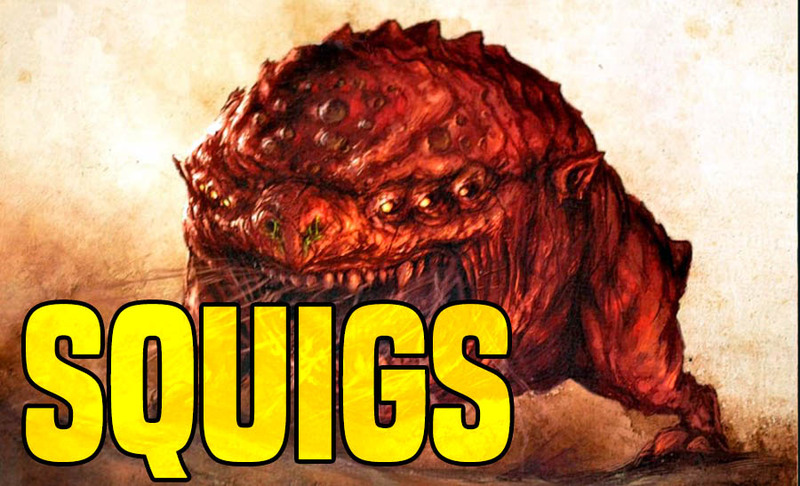 Squigs naturally grow and breed within the cesspits of Ork settlements known as the Drops and subsisting on Ork refuse. Gretchin and Snotlings are usually tasked with plucking them out for any use necessary. The task of tending the squigs usually also falls to Snotlings under supervision from Runtherds. Most Squigs are edible, although some are specifically bred for this purpose. This strain of squig is a vicious predator, and is little more than a snapping, fanged mouth on muscular legs. All squigs have a certain purpose, and this type is akin to attack dog. Many Warbosses and Oddboyz keep Attack Squigs as pets, using these beasts in battle. They are also known to be assembled in big herds and hurled at the enemies by Runtherds or used to guard an important location, although it is nearly as likely to tear apart the nearest Gretchin as they are an enemy. 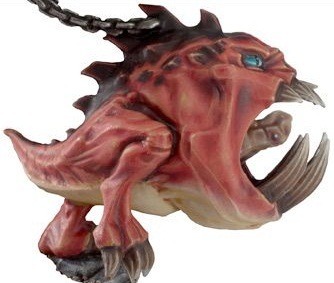 This breed is squig is frequently fired from Squig Launchas and Heavy Squig Launchas. Boom Squig’s are infamous for its defense mechanism of violently exploding at the slightest provocation, typically due to direct physical contact or a loud noise (though sometimes even its own bouts of indigestion). They detonate with such force that they kill or maim anything unlucky enough to be in the vicinity. These creatures thus make the perfect living ammunition for Orks and are also sometimes used as landmines. They are also favored by Orks as the tools of practical jokes, as nothing will amuse a Speed Freek more than hiding a Boom Squig under the seat of a Rukkatrukk Squigbuggy driver. 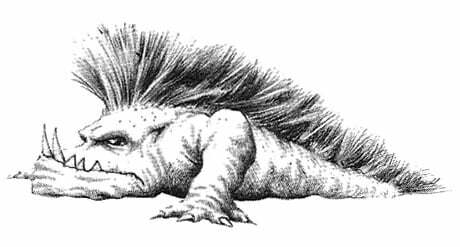 Also known as Gnasher Squig, this breed is perhaps the most voracious and dangerous of all the varieties of Squig. These creatures have a massive, gaping mouth as wide as its body is long, and filled with needle-like teeth, capable of swallowing a Snotling whole. The rest of its body is just a muscular tail which it uses to hang from the drops that make up its primary habitat. 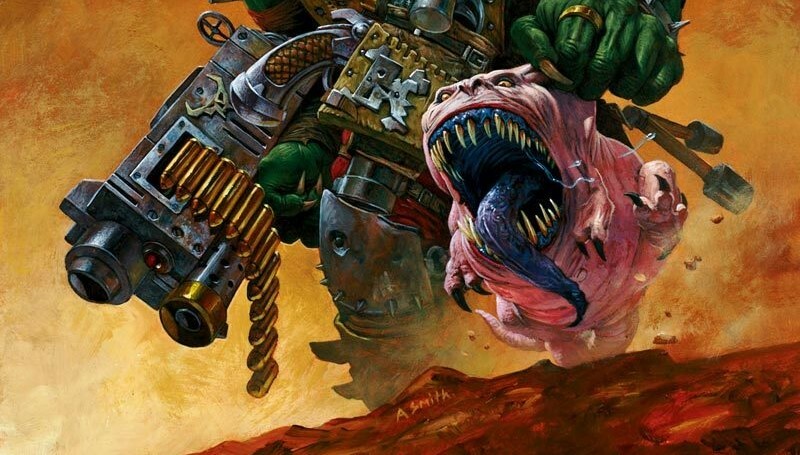 The only reason any Ork would risk death by venturing out to capture one of these creatures is for their use in the Orkish tradition of squig eating contests. The Orks tremendously enjoy both spectating and participating in this sport where the aim is not to eat as many of the creatures as possible. 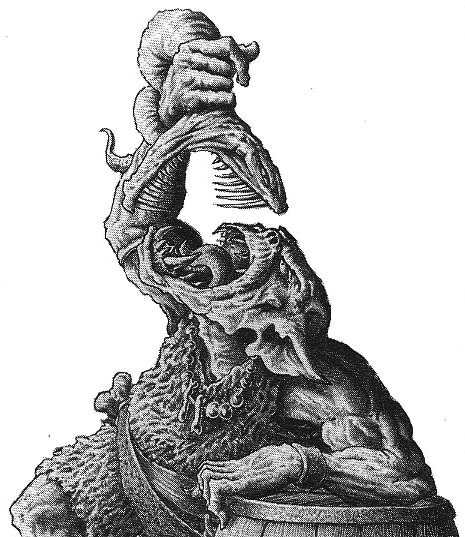 Rather, the player attempts to eat the Gasher Squig before it can take a chunk out of their face. These games are also the cause for much gambling, with many teef changing hands as the greenskins bet on who the winner will be, and anyone who manages to swallow the Gnasher with minimal injury to themselves can emerge a very wealthy Ork. Some Painboys made attempts to use Gnashers to amputate a patients limbs, but these attempts weren’t very successful as they tend to bite off orderlies’ arms or even Dok’s fingers. A Face-Eater is often used as an attack squig. This organism is known to Imperium biologists as Orkus ravenati. Some Runtherds breed these large, ferocious beasts to increase their wealth. This variety has a great crocodile-like mouth full of sharp fangs that are very similar to Ork Teef. They shed and replace those in the same manner Orks do and as such are a source of huge wealth for the owner. Flesheaters’ teeth deteriorate in the same manner Ork ones do, but the creatures are extremely long-lived, although rarely breed in captivity, making them even more valuable. Most owners of these tend to be Nobs and Orks are known to start a great fights in order to capture or loot a Flesheater Squig. One especially popular variety is known as the Mimic. 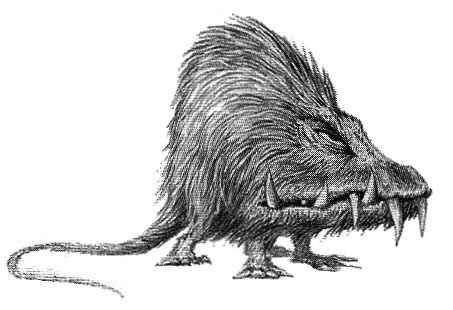 This Squig has a beak-like mouth and is parrot-like in appearance. Mimics can be seen on a shoulders of many an old and haggard Ork, casting expletives and insults at passersby and are especially popular amongst Freebooters. This breed features a small body and head that consist mainly of tiny claws and mouth full of small sharp teeth. 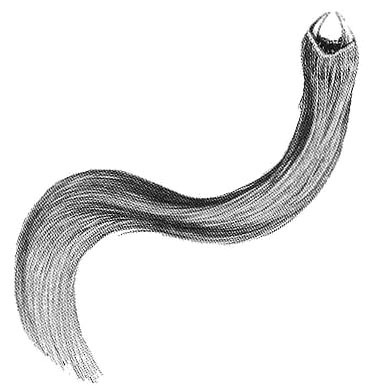 The most prominent feature is the creature’s long tuft of hair, often of bright colour. These Squigs are bred in great numbers to provide Orks (who are naturally hairless) with mops, mohawks and other hair imitations. Gretchin servants put Squigs on his bald head, where they latch on, digging in with their teeth and claws. Feeding on Ork’s skin the Hairy Squig can live there indefinitely. Some Orks only put one huge Squig to make a huge tail, while hundreds are needed to make a whole head of hair. Their natural brightness may be further increased by coloring, so Orks can choose from a variety of colours and styles which they often use to differentiate between Clans and Tribes. Other uses include using their hair for sewing. Orks were known to barter these Squigs with humans, not understanding why their Hair Squigs are so small and pale. The inability to understand the value of the creatures serves as another proof of human stupidity to Orks. There if you’re curious about Squigs then visit the Lexicanum for even more on these Ork Wonder Beasts! ~What is your favorite type of Squig?